Jerry's tossing everything out of the fridge! 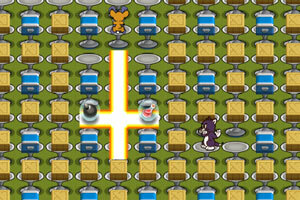 Play as Tom as you save the food before it hits the floor while avoiding the rubbish. Whatever you do: don't make a mess! Share your Tom And Jerry Games: Don't Make A Mess Game tips and tricks! Tom and Jerry Run Jerry Run!